How did a medium-sized Southern river town become arguably the most important music center in America? In How Nashville Became Music City, U.S.A., we learn how a single studio in a tiny duplex house became Music Row, a ten-block area populated by hundreds of talented people whose job is to simply make music. 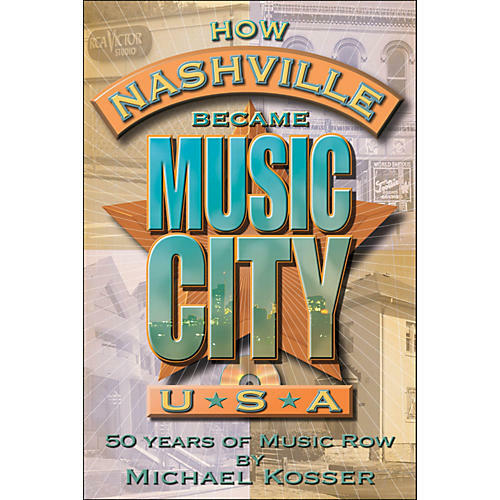 The book features stories from publishers, songwriters and others who help tell the evolution of this fabled center of music. It's where Elvis ushered in the commercial rock 'n' roll explosion by recording Heartbreak Hotel, Patsy Cline, Jim Reeves, and Willie Nelson taught mainstream America to love soulful ballads, and Bob Dylan recorded three of his most important albums. The full-length CD includes 12 recordings made in the early studios of Music Row, giving listeners a rare chance to hear the demos made by some of Nashville's most talented artists. Songs include Bye, Bye, Love, Crazy, King of the Road, Walkin' After Midnight and He Stopped Loving Her Today.